With Overwatch League teams slated to begin hosting home games next season, Comcast Spectacor, which owns the Philadelphia Fusion, will build a$50 million arena for the team. According to Philly.com, the company plans to break ground this summer on part of the 47-acre stadium complex site that Comcast Spectacor leases in South Philadelphia. The venue will seat 3,500 and be located next to Xfinity Live! Architecture firm Populous – which also designed the T-Mobile Arena in Las Vegas and London Olympics stadium – is reportedly being tapped to design the venue. 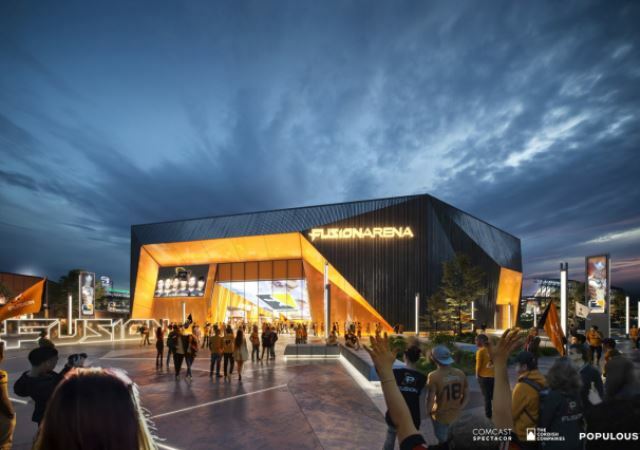 Besides housing the Fusion, the arena will look to serve as “a major east coast hub for gaming events,” company executives said. The building, however, will not be ready until the 2021 OWL season, with the team seeking a temporary home in the area during the 2020 season.